Tea has always been a popular beverage with the English. 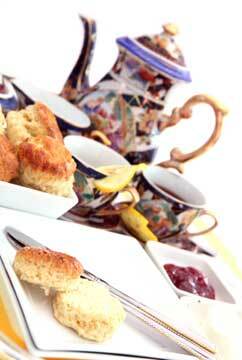 In the 19th century, one or two cups of tea were welcome in the morning, in the afternoon, and in the evening. A great many Englishwomen could no more do without their cup of tea, than their American cousins could do without their cup of coffee. The English liked their tea strong and fresh made. They put unboiled milk and sugar into it. 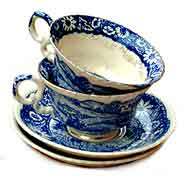 In most English houses, tea time was at 5. But still, what was called a five o'clock tea, was not an ordinary gathering of the family round the tea kettle, but was regarded as one of the ladies’ social pleasures. 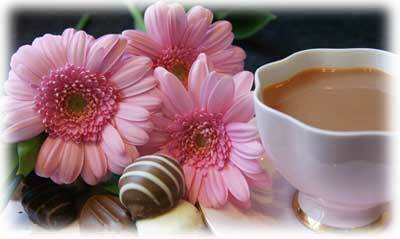 It corresponded to the American ladies’ “coffee-parties”. Friends assembled at these five o’clock teas not to eat and drink, but merely to see and talk to each other, taking a cup of tea as refreshment. The Victorian tea table was set before the mistress of the house with the tea things, viz., the tea cups, milk jug, sugar basin, tea caddy, slop basin (or box), hot water kettle (or tea kettle, tea urn), and the beloved tea pot under a cosy – a wadded covering, like a fur cap, which served to keep the tea hot. At afternoon tea, they ate a few slices of bread and butter, a bun, a roll, or a cake, some marmalade or jam, watercress, or celery. In the country, so called “meat teas” or “high teas” were not uncommon, especially in families where there was no late dinner. 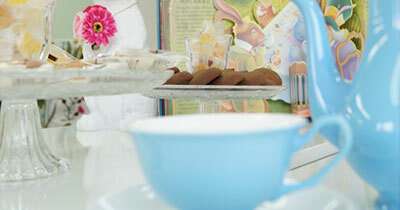 Cold beef, veal or lamb cutlets, eggs, or pickled salmon were seen at such a “high tea”. For a small company, the high tea was an excellent form of entertainment. 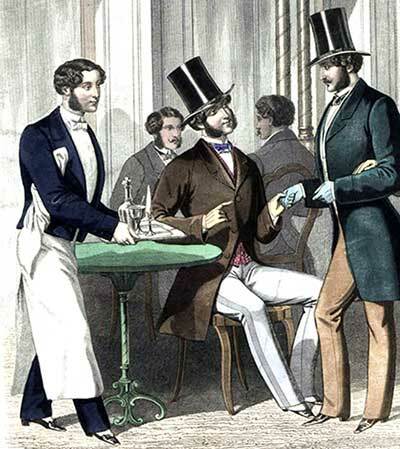 It was not suitable for a large assembly, but when a limited number of guests were invited to spend the evening in some such recreation as card playing, it was not unusual to ask them first to high tea. Or if the latter part of the evening was to be devoted to dancing, a chosen few of the guests may be invited to tea first, and the remainder requested to come later. In that case no supper would be offered to the dancers except cake, ices, and coffee. Should the dining table be large enough to accommodate all the guests invited to the high tea, it would be drawn to the requisite length, and all the company seated about it. But if, from the limited dimensions of the dining room, or because it better suited the whim of the hostess, small tables would be laid so as to accommodate at each six, or four, or even two, always taking care in the last case that the right two are placed together. 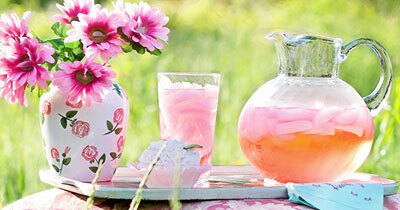 If one large table was used, it would be spread with either a dinner or a tea cloth. 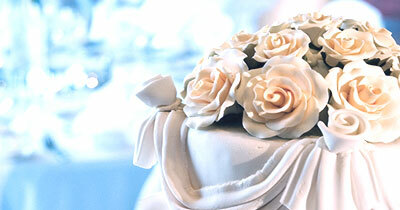 Flowers would be in the middle upon a pretty centerpiece, and there would be small vases set about here and there. The places would be arranged with small silver for each course, and the usual accompaniments of butter plates — or bread and butter plates — salt cellars, glasses, napkins, etc. If it was warm weather, the table would be further beautified by bowls or baskets of fresh fruits that would later be part of the dessert. 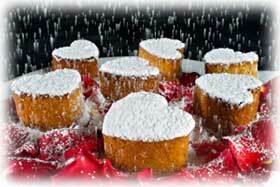 In winter, dishes of cake, preserved or brandied fruits, etc., would be on the table. 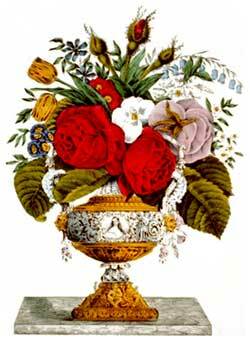 These could also be placed on the sideboard, thus allowing space for the more substantial courses, which at a high tea were seldom relegated to the position on the side table that they would take at dinner. The hostess would sit at the head of the table with the tea tray in front of her. Guests would also be offered coffee or chocolate, which the hostess poured while the servant passed them the cream and sugar. 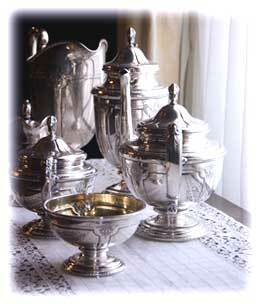 When small tables were used, the hostess presided over a tray placed upon one of them, or the cups were filled outside, and passed to each with the cream pitcher and sugar bowl. It saved some delay in serving when there were a cream pitcher and sugar bowl on each table. These little tables were covered with small cloths or large napkins, and perhaps a vase of flowers. While small tables accommodated more people with comfort than could be seated at a large table, a large table provided a prettier display of floral decoration, china, silver, etc., than the smaller tables. The meal often began with oysters in some form, as fricasseed, fried, broiled, steamed, or panned, or in croquettes. With them were passed bread and butter (brown or graham bread cut thin was good with oysters) or rolls. The plates were then removed, and the next course brought in. This could consist of chicken—broiled or fried—or broiled birds, or French chops, and of potatoes in some form, as a “la parisienne”, french fried, or hashed with cream and browned. Cold tongue or ham was sometimes passed at this time, and warm bread in some shape, as French rolls, tea biscuit, rusk, or waffles. The coffee or chocolate was also served at this stage in the proceedings. After this course came a salad—lettuce and tomato mayonnaise, or chicken, lobster, or salmon—fresh plates were served for this, as a matter of course. Olives and some fancy cheese—Brie, Roquefort, or Gorgonzola— usually came with the salad. When the table was cleared, the dessert was brought in. This could be quite simple, such as preserved or brandied fruit with fancy cakes; or it could be more elaborate, and comprise jelly, charlotte-russe, or fresh fruit of some kind, and light cakes. Finger bowls set on doilies laid on pretty plates were passed as the last thing before the guests quit the table. 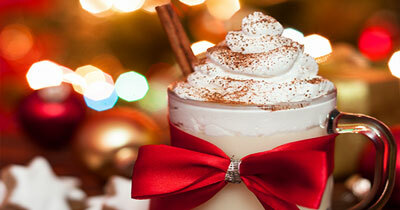 Menus could vary to suit the season and the taste of the entertainer. 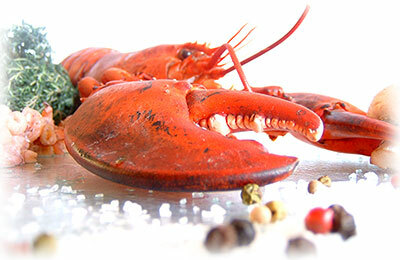 Lobster or crabs, clams or shrimps, could be substituted for the oysters. Green peas could accompany chops, or sweetbreads could be the principal meat dish of the second course. Roast duck, turkey, or chicken was sometimes provided if broilers were out of season, or birds were served with a lettuce or celery salad for the third course. A variety of other fancy dishes were also prepared for dessert—the blanc-manges, the jellied fruits, the Spanish or Bavarian or Hamburg creams, the whips, and custards—the only difficulty that arose was which to choose. In 1896, Harper’s Bazaar provided the details of a Masculine High Tea given by a “young married woman, wishing to entertain some of her husband's friends in a way that would be neither difficult nor expensive." "She had never heard of a high tea "for gentlemen only," but why should she not have one? Her home was small, and she must make her own refreshments, and have them so simple as to allow her to spend her evening in the parlor. She asked two pretty girls to help her, and between them they had a tea that was the delight of the fortunate men who were present. At ten o'clock the guests were summoned to the dining room, where was the table daintily set with places for fifteen--twelve men and three women. The hostess presided over a silver chafing-dish at the head of the board, a pretty girl over another at the foot, while half-way down the table another girl was seated in front of the silver urn and coffee-cups. 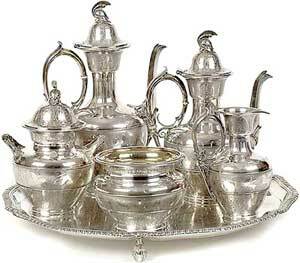 Lobster à la Newburg was made in one silver chafing-dish, and oyster à la poulette in the other silver dish. With these were passed piles of delicious walnut-mayonnaise sandwiches. This course over, two white capped and aproned maids removed the dishes, and brought in their place two loaves of smoking Boston brown-bread and a huge earthen jar of baked beans. The appearance of these was received with a round of applause. Following was a course of chicken salad, deviled crackers, cream-cheese, and olives. 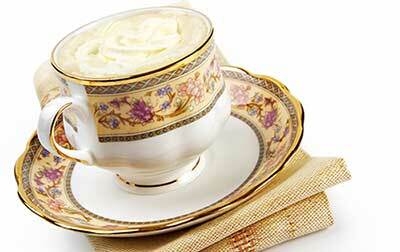 The dessert was ice-cold coffee jelly (so tender as to melt in the mouth) smothered in whipped cream. Delicious home-made fancy cakes accompanied this. After the dishes were cleared away cigars were produced by the husband of the hostess, and soon the fragrant weed had the usual effect of drawing forth excellent stories and clever conversation. 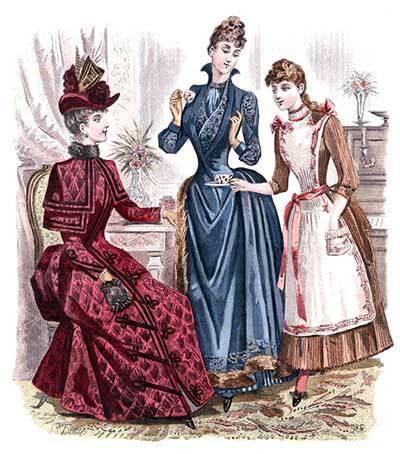 It was one o'clock when the tea party broke up, the men all declaring that a high tea for gentlemen only was a most decided success especially when there were present three charming women as entertainers."